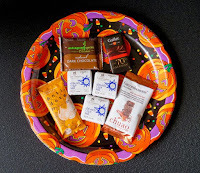 Welcome to Day #11 of Chocolate and Halloween wEEKs. My own Halloween chocolate plate would be made up of mostly high-end, mostly dark chocolate miniatures. 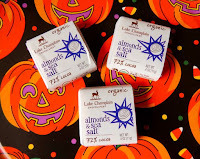 Today's Organic Almonds and Sea Salt 72% Cocoa squares from Lake Champlain Chocolates (Burlingame, VT) serve as an example of dark chocolates now available in individual or smaller sized pieces. These squares had an earthy dark chocolate aroma and flavor; with a bit of extra umami* in the form of almond bits and sea salt. 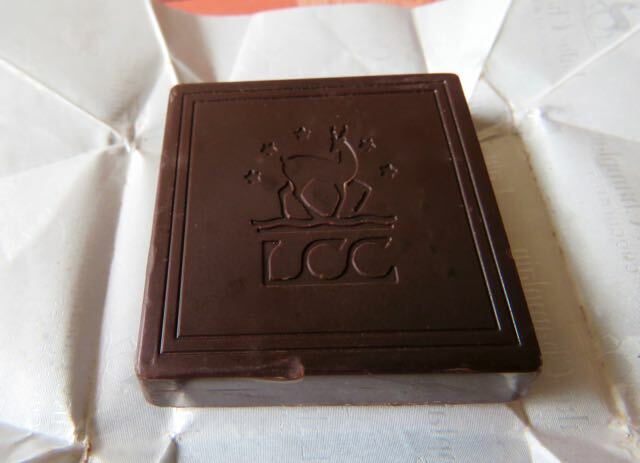 The chocolate had a smooth texture and melt and was relatively creamy/buttery. 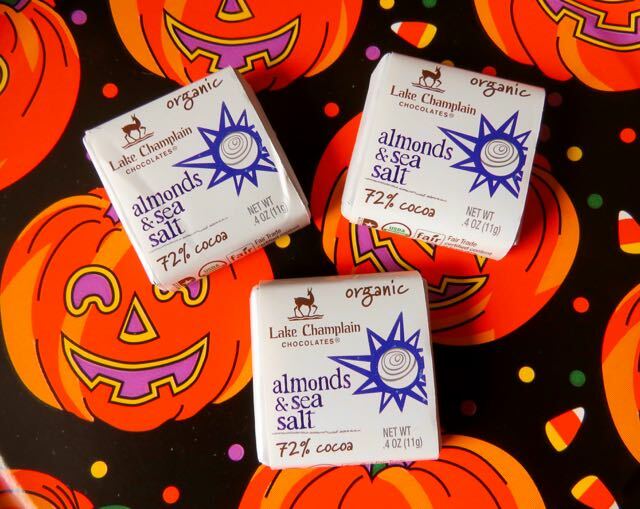 If you're willing to pay more, these individually wrapped Organic Almonds and Sea Salt 72% Cocoa squares—and other bean-to-bar and single origin mini bars—also make great Halloween treats. *Umami flavors come from savory edibles high in glutamate, such as cheeses, meats, mushrooms, tomatoes, soy.